Since 1966, the British Board of Agrément has provided rigorous testing, inspection and certification services to provide assurance for the construction industry that manufacturers’ products, systems and procedures are fit for purpose. 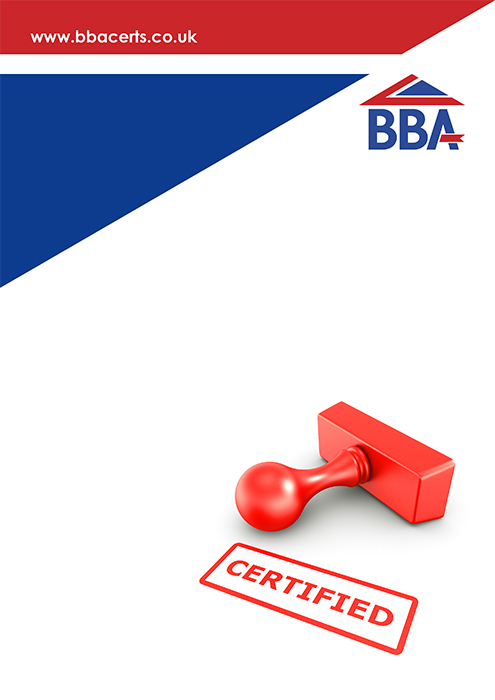 The BBA’s certification and inspection teams have detailed technical knowledge and experience, and its services are recognised by building control, local authorities, industry insurers and trade associations across the UK. In this ebook, you can read about their work to help ensure safe development and adoption of innovative solutions in the built environment. It includes a look at the importance of testing, regulating and monitoring new construction products for safety and reliability. The BBA is constantly adapting to keep pace with ever-changing technologies and industry innovations, testing over 40 product areas – with new additions all the time. With environmental at the top of the agenda, it has a precise focus efficiency, while also providing valuable, independent training and support to new owners of old problems, such as local authorities and installers retrofitting insulation in existing housing. The ebook also highlights the benefits of BBA certification for windows and doors, which considers all relevant building regulations, codes of practice and NHBC standards in an all-in-one package. The BBA has its own UKAS-accredited testing facilities, giving it first-hand knowledge of how windows and doors perform, and how suitable they are for the market. Finally, looking at the ever-evolving BIM sector, the ebook has an introduction to the BBA’s BIM Object Assurance Scheme. It provides independent, third party validation for BIM objects to ensure product specifications are accurate in reality, helping architects and specifiers to achieve the best possible build performance. The BBA has also partnered with bimstore to offer a total BIM modelling solution to manufacturers who are BBA Agrément holders.